20 years ago, my sister Lisa and I travelled with Slickrock Adventures after learning about a sea kayaking adventure from a tiny ad in Outside Magazine. At that time Slickrock was a much smaller operation leasing Northeast Caye as their destination island. 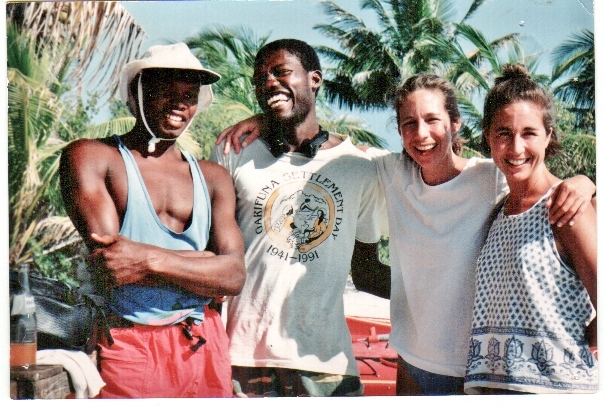 Lucy was our head guide, Elmo and John were her assistant guides, also our fishermen and cooks. Our small group of travelers (about 15) stayed in tents on the beach with a few guests in small cabanas. Days were spent kayaking and snorkeling while marveling at the amazing underwater coral and sea life. It was such a unique experience that 20 years later we decided to come back with our families. 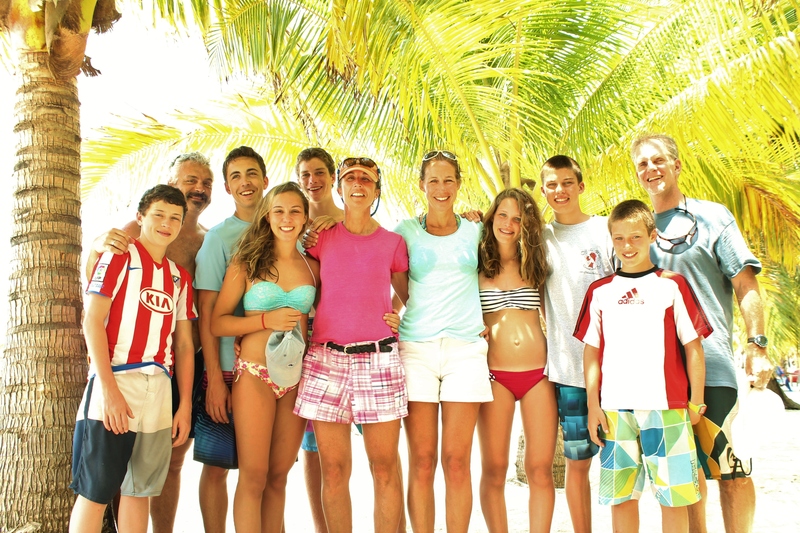 With husbands and 7 children between us ages 10 to 16, we returned to Belize in April 2013. What a wonderful surprise to see how much Slickrock has evolved over the years! 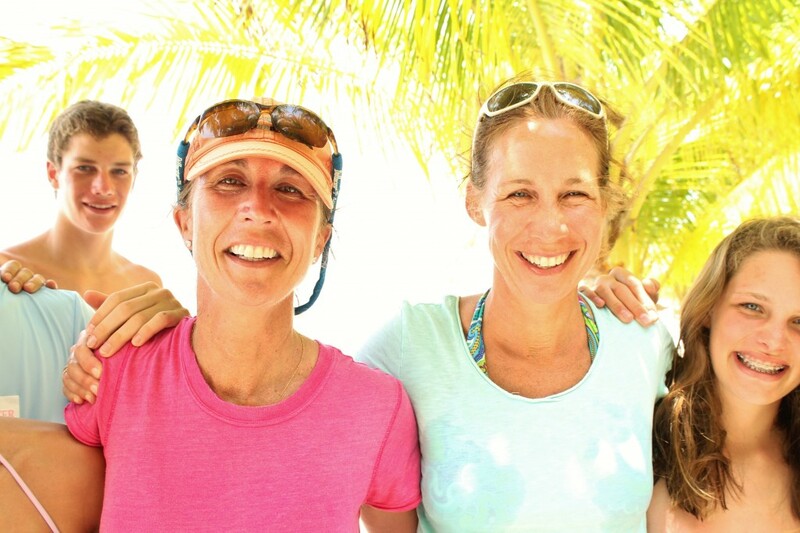 Not only have the accommodations improved, but instead of just offering kayaking and snorkeling, Slickrock now provides a wide array of activities like surf kayaking, surfing, windsurfing, paddle boarding, kite boarding, scuba diving and fishing. No experience necessary, you can be a beginner and still enjoy everything! And if you want a break from water sports you can explore the island, looking for hermit and blue crabs, trying to catch lizards, playing with the bunny and even learning how to open coconuts. Perfect for everyone as there are so many fun activities to entertain all ages. But what makes Slickrock really special is the “Eco-Friendly” resort they have created. In this day and age where everything is excess, it was wonderful to live with simpler means for a week. 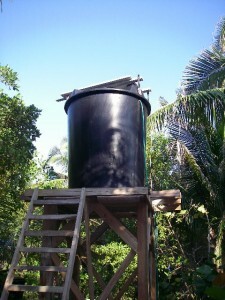 Composting toilets, a rainwater collection system used for all island drinking water and the use of only solar power is part of your unique experience. Saving the pristine tropical environment is a priority to Slickrock and a great lesson on how an eco-friendly resort works. Notably there is no cell, internet, social media, wifi, or TV on the island. Everyone is unplugged which is an unexpected pleasure! With all the activities to keep you busy during day and then evening volleyball, board games, hermit crab races and island educational lectures everyone had a fabulous time. No one missed their cell phone, laptop or TV – not one bit, even the kids! It was wonderful break from our digital world that has become such a constant in our lives. If you are looking for a vacation on a beautiful tropical island with unlimited water sports, world-class snorkeling and scuba diving, delicious food while living “off the grid” then Slickrock Adventures is for you. A fabulous trip for families and perfect destination to get away from it all! We plan to go back again but not wait another 20 years!